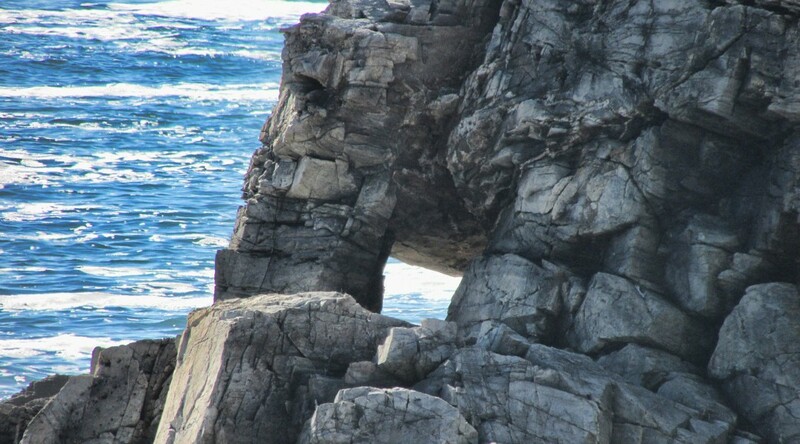 Maine is not known for natural arches but there were four small ones reported in the Journal of Natural Arch Discoveries. 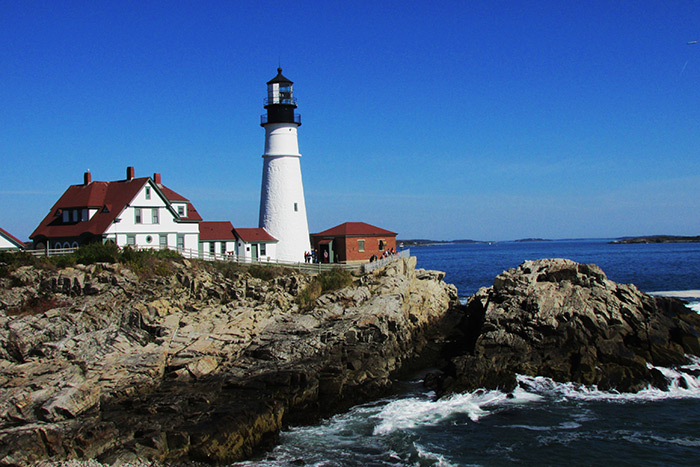 This October, Pat and I drove up the Maine coast stopping at some nice lighthouses. At the Portland Head Lighthouse in South Portland, ME you can see Portland Head Lighthouse Arch (ME-4), which is just south of the lighthouse. Directions: In Portland, drive State Street south across the bridge into South Portland and turn left onto Cottage Road. Turn left into Ft. Williams State park and head to the lighthouse parking lot. You can see the arch to the south. Walk the trail south along the fence then go uphill to the top of the cliffs. Go left on a faint trail which goes on a pebble beach, and go right around the rocks to see the arch (only if it is low tide). 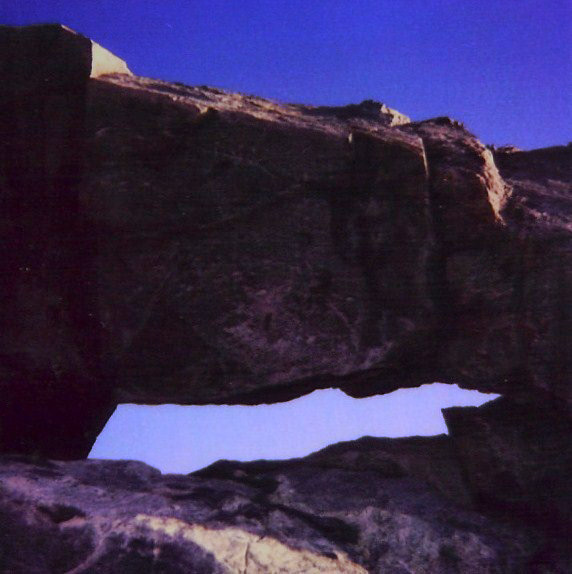 The arch has a span of three feet. 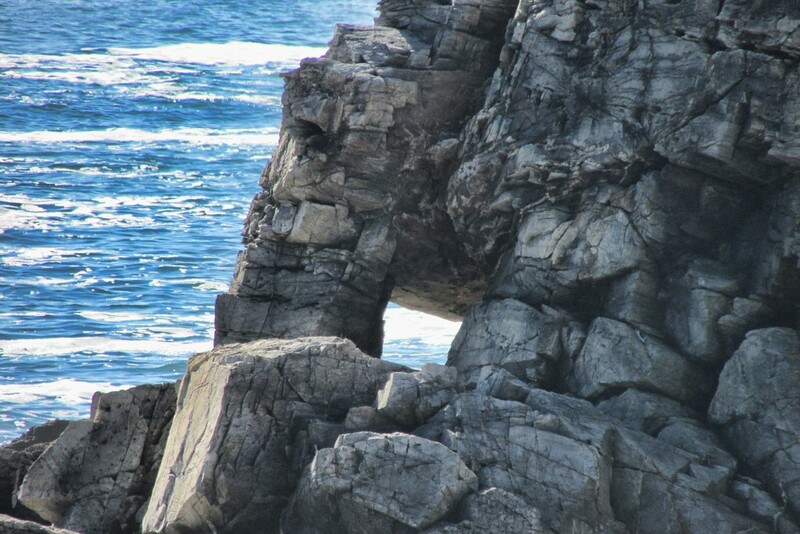 Unfortunately nearby Portland Head Arch (ME-2) has fallen. It had a span of four feet. A scan of my old Polaroid photo is below.